Yay! 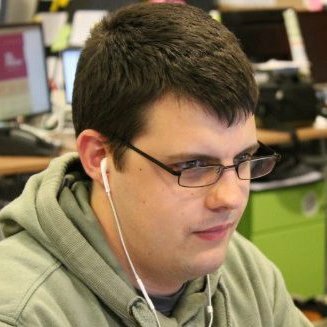 You’ve written a new Drupal module, theme or installation profile as part of your site, and now you’ve decided to open source it and upload it to Drupal.org as a new contrib project. But how do you split it from the main site repository into it’s own? Well, there are a couple of options. Does it need to be part of the site repository? An interesting thing to consider is, does it need to be a part of the site repository in the first place? If from the beginning you intend to contribute the module, theme or distribution and it’s written as generic and re-usable from the start, then it could be created as a separate project on Drupal.org or as a private repository on your Git server from the beginning, and added as a dependency of the main project rather than part of it. It could already have the correct branch name and adhere to the Drupal.org release conventions and be managed as a separate project, then there is no later need to "clean it up" or split it from the main repo at all. This is how I worked at the Drupal Association - with all of the modules needed for Drupal.org hosted on Drupal.org itself, and managed as a dependency of the site repository with Drush Make. Whether this is a viable option or not will depend on your processes. For example, if your code needs to go through a peer review process before releasing it, then pushing it straight to Drupal.org would either complicate that process or bypass it completely. Pushing it to a separate private repository may depend on your team's level of familiarity with Composer, for example. It does though avoid the “we’ll clean it up and contribute it later” scenario which probably happens less than people intend. If the project is already in the site repo, this is probably the most common method - to create a new, empty repository for the new project, add everything to it and push it. # Create a new Git repository. # Add everything and make a new commit. # Add the new remote and push everything. There is a huge issue with this approach though - you now have only one single commit, and you’ve lost the commmit history! This means that you lose the story and context of how the project was developed, and what decisions and changes were made during the lifetime of the project so far. Also, if multiple people developed it, now there is only one person being attributed - the one who made the single new commit. Also, if I’m considering adding your module to my project, personally I’m less likely to do so if I only see one "initial commit". I’d like to see the activity from the days, weeks or months prior to it being released. What this does allow though is to easily remove references to client names etc before pushing the code. An alternative method is to use git-subtree, a Git command that "merges subtrees together and split repository into subtrees". In this scenario, we can use split to take a directory from within the site repo and split it into it’s own separate repository, keeping the commit history intact. Extract a new, synthetic project history from the history of the subtree. The new history includes only the commits (including merges) that affected , and each of those commits now has the contents of at the root of the project instead of in a subdirectory. Thus, the newly created history is suitable for export as a separate git repository. Note: This command needs to be run at the top level of the repository. Otherwise you will see an error like "You need to run this command from the toplevel of the working tree.". To find the path to the top level, run git rev-parse --show-toplevel. In order to do this, you need specify the prefix for the subtree (i.e. the directory that contains the project you’re splitting) as well as a name of a new branch that you want to split onto. When complete, you should see a confirmation message showing the branch name and the commit SHA of the branch. If you run git branch, you should now be able to see the new branch, and if you run git log --oneline split_my_new_module, you should only see commits for that module. If you do need to tidy up a particular commit to remove client references etc, change a commit message or squash some commits together, then you can do that by checking out the new branch, running an interactive rebase and making the required amends. In this case, the new branch will be 8.x-1.x. Here is a screenshot of example module that I’ve split and pushed to GitLab. Notice that there are multiple commits in the history, and each still attributed to it’s original author. Also, as this is standard Git functionality, you can follow the same process to extract PHP libraries, Symfony bundles, WordPress plugins or anything else.